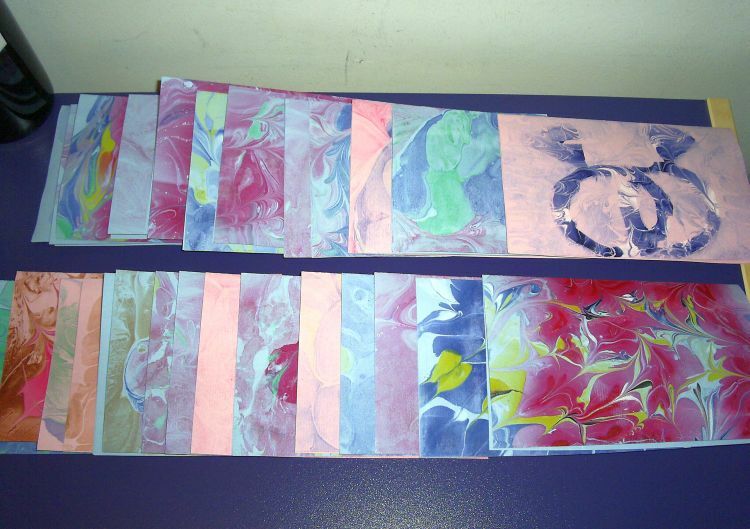 This entry was posted in Abstracts Paintings and tagged art market craft fair hand made art marbled art marbled art cards marbling note cards paintings on April 9, 2013 by Karin. 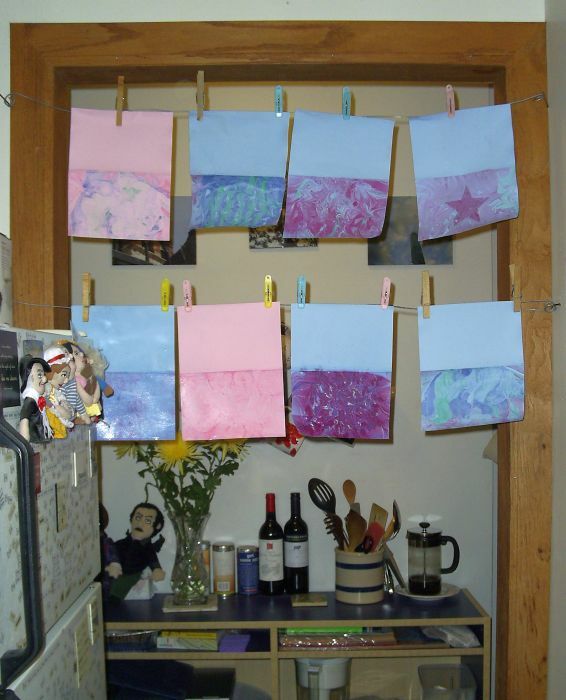 Twenty-nine hand-painted note cards–dry, ironed, and ready to sell. As my friend said when I just showed her the cards, “Ah–so this is why you had cold cereal for dinner the other night!” Indeed. This project has totally taken over my kitchen for the past several days. But, I hereby declare it worth it! I’ll have these cards, as well as photos and painting prints, for sale at the first-ever Outdoor Art Market at the Bohemian Hall and Beer Garden in Astoria, Queens on April 21st. The market runs from 1-6pm, rain or shine. (Please shine–please!) You should stop by.